It’s been waaay too long since my last beauty related post, so here we go! //Mein letzter Beauty Post ist schon viiiel zu lange her, also los geht’s! First of all, the basic facts: No countless amount of silicones, no endless list of ingredients, no strong scent – puuurrrfect. Just these three facts were enough to make my buy it, but there’s even more this little bottle has to offer! 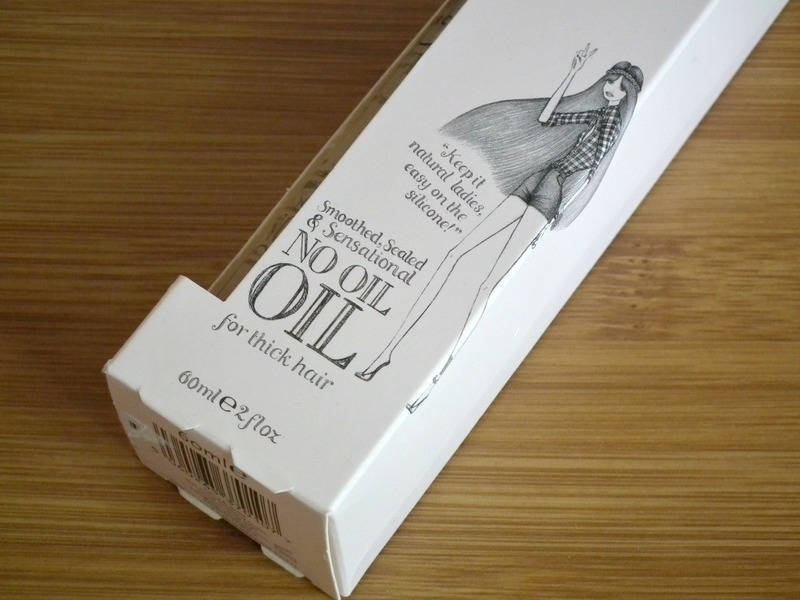 Infused with nourishing pomegranate seed oil the No Oil Oil is supposed to protect thick hair and make it glossy and soft without weighing it down. My hair isn’t super thick, but it’s rather fine and therefore I try to avoid heavy products as much as possible. The oil itself doesn’t really feel like oil in your hands, that sounds weird, I know. But hey, it’s called NO Oil Oil for a reason! (; Anyway, it just feels a bit slippery and warm when rubbing it between your hands. 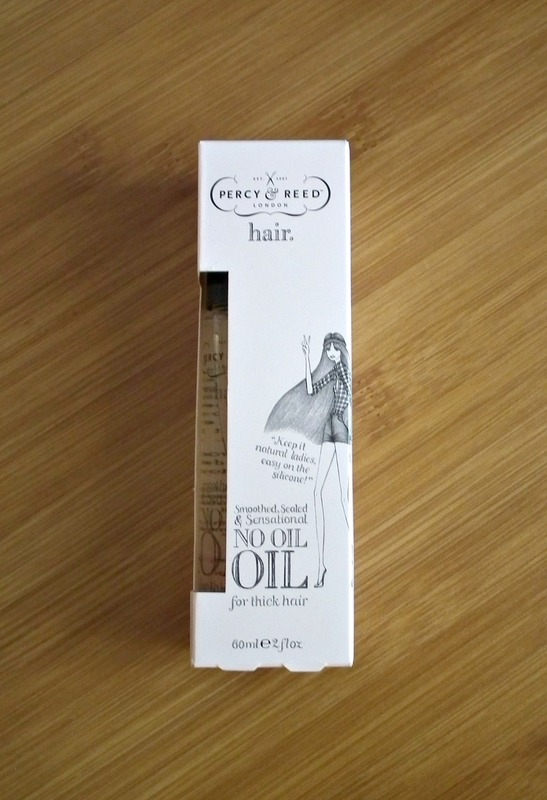 The instructions say to use it either on dry or damp hair and work 1-2 drops from roots to tips. Okay, I had to addapt the application a little bit. I have two ways of applying it: 1. One drop, damp hair before blowdrying, just at the tips: Softest, shiniest, prettiest hair e-v-e-r. Nourished and not flat at all – that’s how I like it! 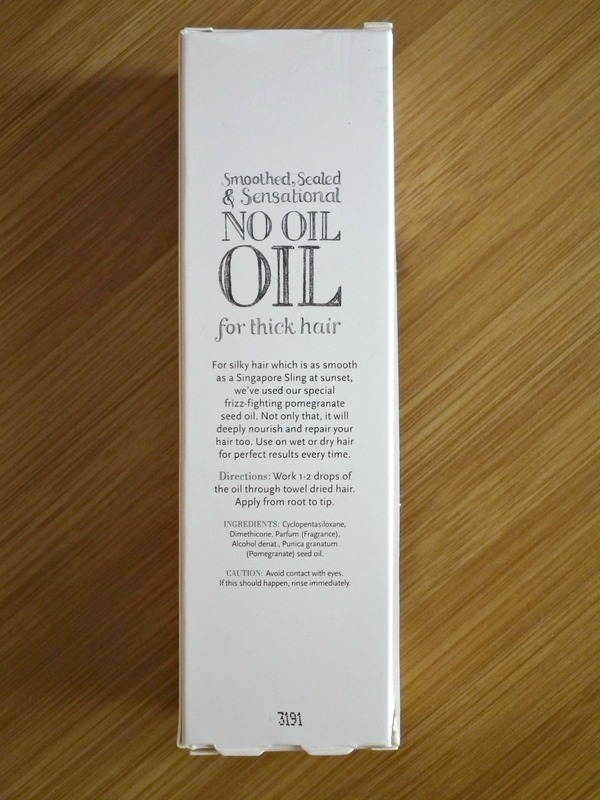 Long story short: I love this product and can totally recommend it to everyone with thick AND rather fine hair. 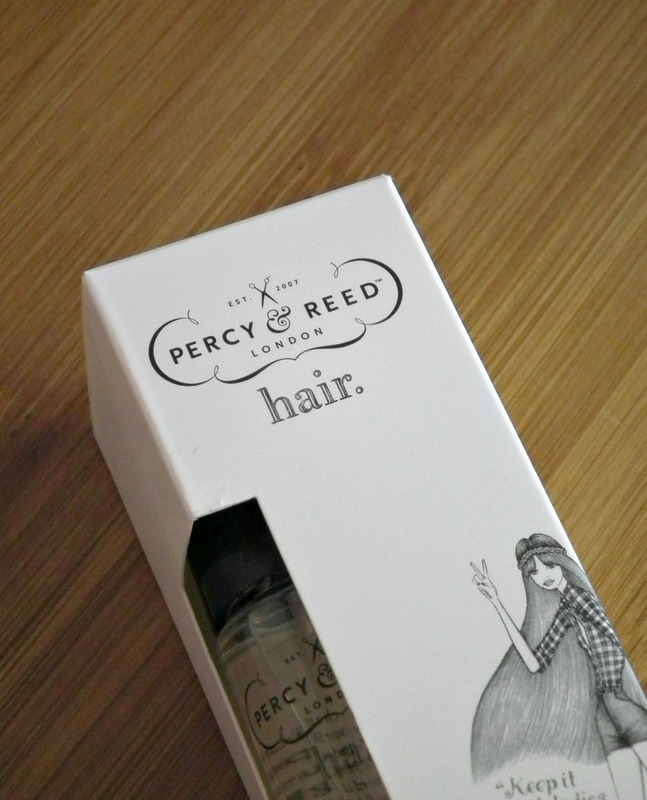 Because you only use a few drops each time it lasts forever and is a good investment (around 20€ for 60ml). Zuerst mal die Fakten: Vergleichsweise wenig Silikone, keine endlos lange Liste mit Inhaltsstoffen, kein aufdringlicher Geruch – perfetto. Allein diese drei Tatsachen haben mich schon dazu bewegt es zu kaufen, aber das kleine Fläschchen hat noch mehr zu bieten! 1. Ein Tropfen, feuchtes Haar vor dem Föhnen, nur in den Spitzen: die weichsten, glänzensten, schönsten Haare e-v-e-r. Gepflegt und gar nicht platt – so mag ich das! Lange Rede, kurzer Sinn: Ich liebe dieses Produkt und kann es jedem mit dickem UND eher (!) feinem Haar empfehlen. Da man nur wenige Tropfen pro Anwendung braucht, reicht es ewig und ist eine gute Investition (ca. 20€ für 60ml).